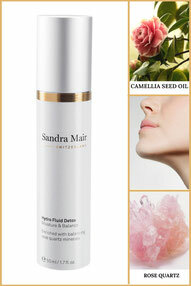 Facial Care - sandra-mairs Webseite! Enriched with soothing lapis lazuli minerals. For demanding skin. pH skin-neutral. Enriched with vitalizing amethyst minerals. For all skin types. pH skin-neutral. Vegan. The Hydro Fluid Detox renews the skin with balancing rose quartz minerals, powerful plant extracts and pure blossom and seed oils. Enriched with balancing rose quartz minerals. For dry, sensitive skin. pH skin-neutral. Vegan.